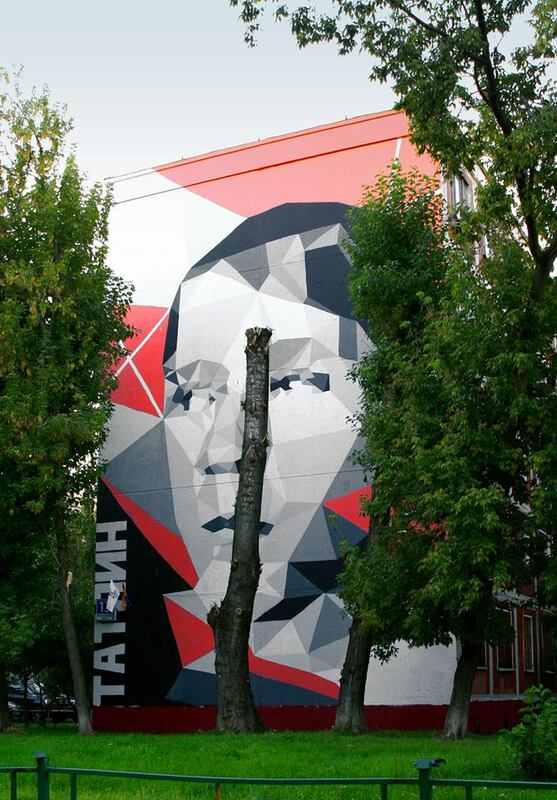 We came across the work of Zuk Club and their recent mural installation “RUSSIAN AVANT-GARDE TRIPTICH”. The triptych features portraits of Rodchenko, Tatlin, and Kandinsky famous figures in the Russian Avant-Garde. This is my first time coming across the work of Russian artists Zuk Club and we are very impressed. 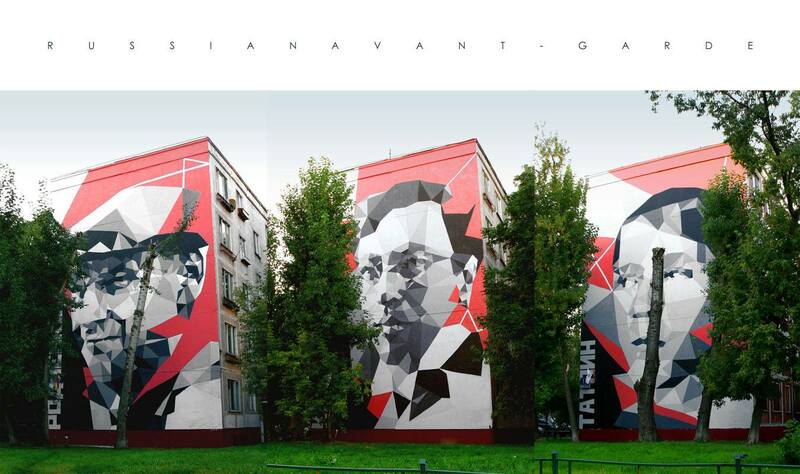 The murals were painted to honor the Russian artists in a geometric style and black white and red palette. It is interesting to watch todays generation of artists who have grown up painting graffiti transition into painting these large scale murals. Although the style and depictions might not be new the act of painting these large scale murals for the public is something that is rooted in the past and represents some similar constructionist ideas about art and its use. Murals and painting that existed outside the market is something that the constructionist practices, as in communist Russia there was no art market. Public murals were painted for different reasons. You can see that today’s artists act creating first, they are not concerned with outside politics of what the benefit to them is. This is another example and an interesting situation to have the pioneers be painted in a fashion that I somehow think they would have approved of. 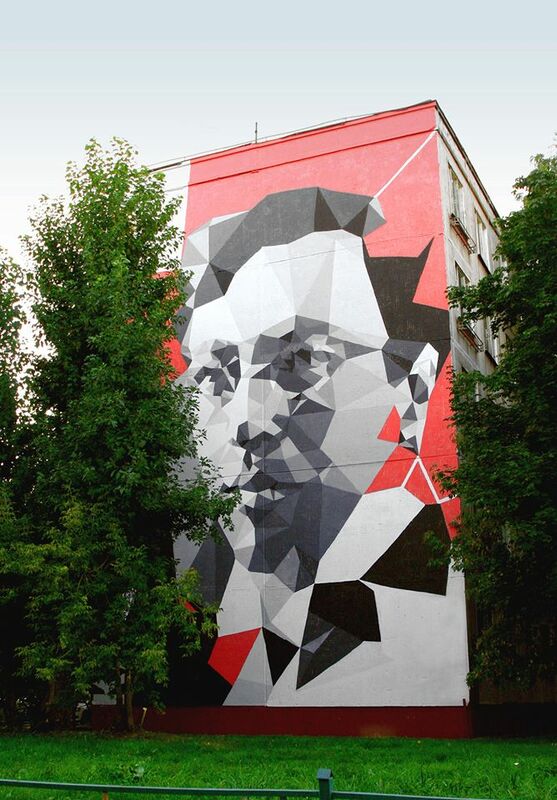 Once again the Russian collective Zukclub is surprising us with three new walls in Fonvizina, Moscow. This time, the collective decided to use the figure of three of the most representative Russian artists: Alexander Rodchenko, photographer and designer, best known for his advertising posters in the 30′s an 40′s; Wassily Kandinsky, painter and pioneer of abstract art; and Vladimir Tatlin, known as one of the most important constructivist artists. 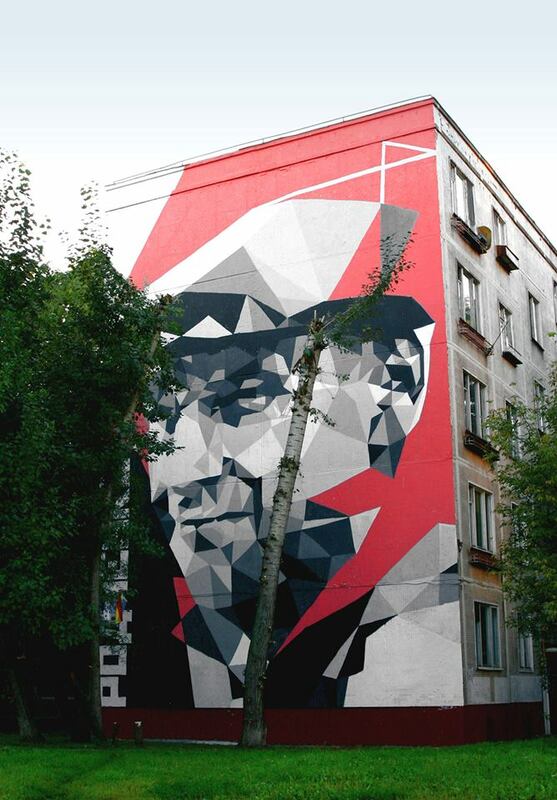 Whether as an homage to these characters or as a remembrance of Russian splendor, these murals do not lose the essence of the group, ’cause they’re still using abstraction and geometry as a representative form. ZUKCLUB art group was formed in 2001. Early in his career team ZUK (“Zebra Flied Where?”) doing traditional graffiti art, but since 2006, began working with the poster. The interests have expanded. The team started practicing street art and still keep following this way. Activity of the group flowed into design, monumental and contemporary art. During the existence of the team changed. Now a group of 3 major artist and a few people who connect when needed. The team make experiments on any accesible and hard accessible surfaces, their work is distinguished by the freedom of manners, ideas choice and extremely funny poetics of an alcohol-drug delirium. ZUKCLUB is, so to speak, not even a team, ZUKCLUB is some kind of hoax representing mythical harmonious team.